What Is the Purpose of the Impact Protection Posts? 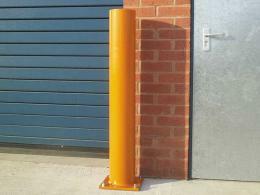 The impact protection posts are designed to be placed in areas where they will prevent a vehicle from bumping into something. They could be placed on the sides of a loading area where a forklift may be used frequently to load and unload items. This will prevent the forklift from scraping against the wall if a driver happens to get too close to one. 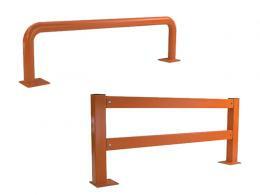 These poles are heavy-duty, but they will not damage a work vehicle as much as a brick wall would. Also, they can be placed anywhere else that they can be drilled into the ground. The bottoms of the posts are squared and have holes, so they can be securely attached to the floor. This means that they can be put around anything in order to keep it safe from collisions. Vehicle collisions in warehouse settings can be extremely expensive, especially if someone bumps into a rack that’s holding products on it. Where Can the Impact Protection Posts Be Used? These posts are most likely going to be found in warehouse settings where employees use light work vehicles, such as fork lifts and electric carts. However, they can also be found anywhere else that they will provide adequate protection from vehicle impacts. A school may want to place these posts in areas where foot traffic meets vehicle traffic. 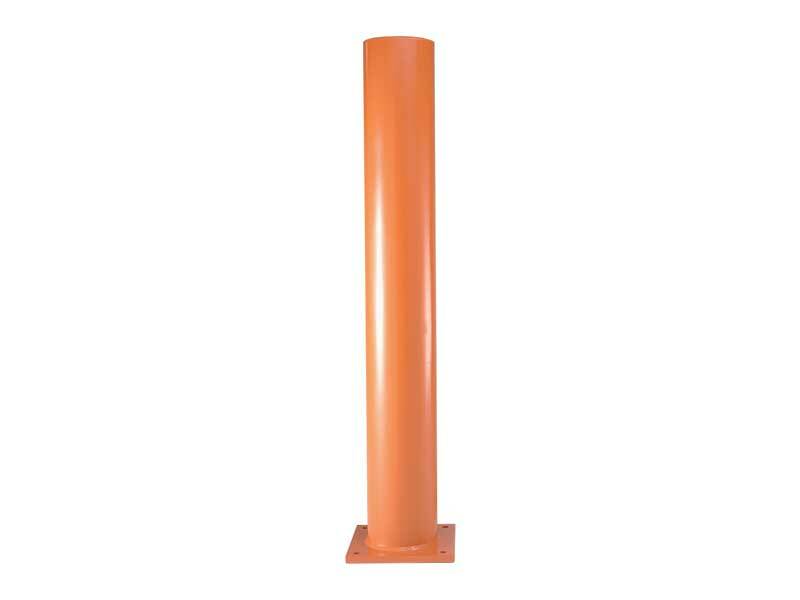 Placing these impact protection posts along the sides of a sheltered hallway will prevent drivers from bumping into support beams and instead cause vehicles to hit the protection post. Protection post installation ensures that vehicular damage to any structures is kept to a minimum. Who Might Use the Impact Protection Posts? 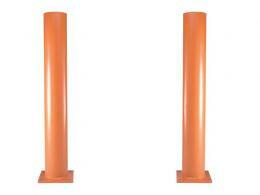 Warehouse or building owners who are responsible for ensuring that products, people, and structures in the warehouse or around the facility are kept safe will want these protection posts. Warehouse owners can order a few of these posts and place them in certain locations throughout their establishment to prevent further damage from coming to important parts of their building. The impact protection posts come in three different sizes and heights and range from light- to heavy-duty protection capabilities. They also come with a one-year parts and labour warranty for customer satisfaction. Expect free delivery to your establishment within 10 or fewer working days. We also make sure you get the best price. If you see a lower price on this item, tell us and we’ll match it!